The best sacred music is not “background” music, but rather music that proclaims the eternal truths of Scripture whether it is a simple song or one in which the message is written into the music. The hymn “Lift High the Cross” (CRUCIFER) has become an iconic one for many Christians because it highlights the centrality of the crucifixion of Jesus to the faith. Martin Luther speaks powerfully to this dogma in his Theology of the Cross (Theologia Crucis). 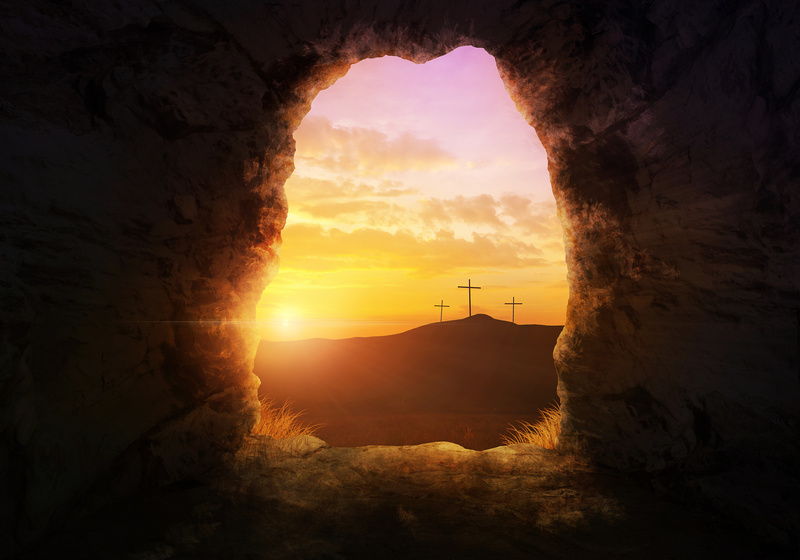 Although the cross is an instrument of torture and death,1 the cross of Jesus Christ became and remains a symbol of victory and triumph for Christians because of the empty tomb that was found on the third day. As the Apostle Paul points out, the cross would be nothing without the empty tomb (1 Corinthians 15). The composition therefore begins with a Fanfare that celebrates the resurrection of Jesus Christ using a motive based on the refrain of “Lift High the Cross.” The Fugue that follows is programmatic depicting various stages of the church from the Acts of the Apostles through the Book of Revelation. An outline and narrative description of the work follow the sound link. To view the full score, click here. As mentioned earlier, the Fanfare is a celebration of the victory that is ours through the death and resurrection of Jesus Christ. After this great celebration, the Fugue provides a musical expression of various stages of the church. In Section 1 (the Exposition) the initial fugal subject (theme), also derived from the refrain of CRUCIFER, is stated and passed from voice to voice representing the Apostles proclaiming the Good News. The news is passed from one person to the next until a multitude of people are professing it. In Section 2 (the First Development) the subject is inverted (i.e. turned upside down) and stated in minor keys representing how the pure Gospel message is often altered and changed – sometimes to the point where it actually proclaims the opposite of what the Gospel was originally intended to proclaim. In Section 3 a new profession of the Theology of the Cross is attempted, this time in the form of the Fugue No. 4 in C# minor from WTC I. This fugue uses the musical crucifix BACH motive as its initial subject. This statement of faith is however quickly broken off by a growing chorus of voices in the form of musical crucifixes starting on numerous different pitches at different times. These represent the many “diverse and strange teachings” that the Apostle Paul warns us about (see Hebrews 13:9). As the confusion increases, two trumpets make a futile attempt to reestablish the proclamation heard at the beginning of the Fanfare. Ultimately, chaos and confusion reign. Section 4 is an aleatoric section that uses a twelve-tone row derived from permutations of the musical crucifix BACH motive. It represents a broken church beset by a corrupted message, arguments, divisiveness, persecution, and even violence. Ultimately, the church appears to be completely broken and destroyed. The Second Development (Section 5) parallels the First Development. The subject is stated again in minor keys and inverted. While the church on earth lacks focus and struggles with an understanding of the true Gospel message, descending chromatic passages represent Christ weeping for His church. Section 6 (the Reexposition) represents Christ reestablishing His church by those who proclaim the Gospel in its truth and purity. The initial subject is restated in its original mode (i.e. a major key). It first appears in the lowest voice and then, as in Section 1, is passed from voice to voice until it reaches the highest voice. Section 7 represents the Church Triumphant rejoicing and singing the “Song of the Lamb” (see Revelation 5 and Revelation 15). It consists of a full statement of the refrain of “Lift High the Cross” in augmentation (i.e. in long notes) accompanied by motivic ideas from the Fanfare. The work ends with a full setting of the hymn “Lift High the Cross” that can be played by the brass alone or sung by a congregation or choir. The Chorale provides an opportunity for the church on earth to join the Saints and Angels and all the Heavenly Host in singing the Eternal Song of the Lamb (see Revelation 15:1-4). A Note to Cantors and Music Directors – This work was originally conceived as a work for brass alone, but may also be used as an extended introduction to the singing of the hymn “Lift High the Cross” by a congregation or other assembly. Organ may be used in either case. Composed for an eight-part brass choir of paired instruments, the antiphonal nature of the composition might be enhanced by separating the trumpets, horns, and trombones as much as possible. To acquire the full score and instrumental parts, click here. Crucifixion is one of the most torturous forms of execution ever devised. First used by the ancient Persians, victims are tied or nailed to wooden crosses (i.e. beams placed upon posts in the ground) and left to die a slow, agonizing death. The Pax Romana (Roman Peace) is somewhat of a misnomer because it was accomplished by, among other things, the merciless crucifixion of both real and suspected enemies of Rome. For instance, after subduing the army of the escaped gladiator Spartacus (c. 109-71 BC), the Roman army crucified 6,000 of the captured soldiers along the Appian Way between Rome and Capua, a stretch of road almost 120 miles long. There are some indications that crucifixion is used in some parts of the world even today. The work calls for 2 trumpets, 2 French horns, 2 trombones, Euphonium, and tuba. An optional third trumpet can play the French Horn 1 part, in which case it would be best if it was a Flugelhorn or some other instrument that could match the tone of a French Horn. Inspired by the 2007 Trinity Brass Ensemble, this work was finally completed seven years later upon the encouragement of Stephen Alltop of Northwestern University at the Peoria Bach Festival 2014 and after a study of Fugue No. 4 in C# minor in Bach’s Well-Tempered Clavier – Book I (WTC I), in and of itself an enduring statement of faith (see www.jubalslyre.com/a-powerful-statement-of-faith-in-music). Visit www.jubalslyre.com/music for arrangements of Bach’s Fugue No. 4 in C# minor from WTC I for Woodwind Quintet or String Ensemble.